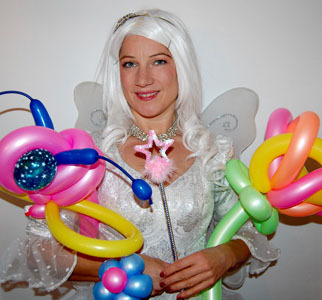 Leila deserves a special page here as she is one of our most popular balloon modellers and face-painters. Oh, and lovely Leila is a stilt-walker too! Leila is also our go-to balloon décor artiste. Please CLICK HERE for more details about our balloon décor.